We grow pumpkins in our garden alongside potatoes as well. 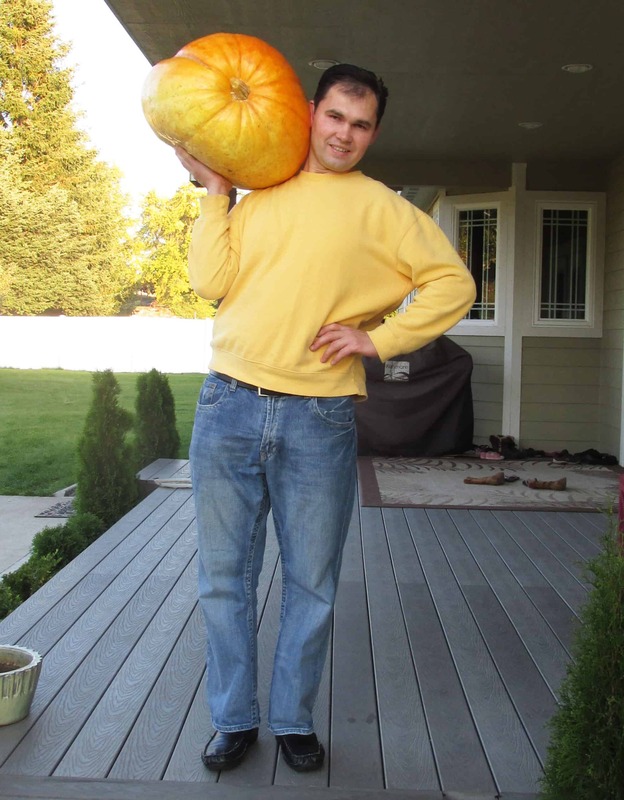 This is the biggest pumpkin that grew in our garden. Not only we get to consume this delicious God’s creation in many ways, we have a good feed for our animals too. Like our chickens, for example, that give us delicious home eggs. Then later we have a healthier whole chicken to cook to go with a favorite dish. 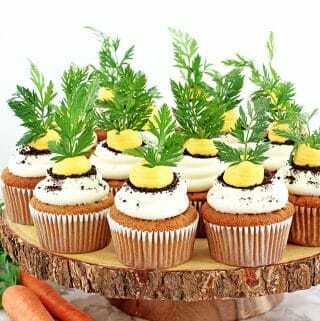 And then have a delicious pumpkin treat for dessert. So you’ve got this mini circle of life in your own backyard to entertain you, while you enjoy those pumpkin seeds you’ve roasted up, as well. 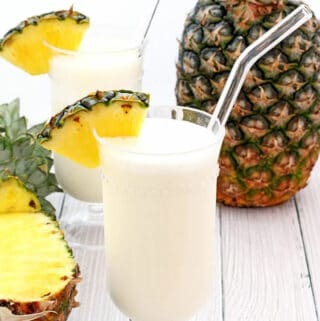 I hope you enjoy this homemade goodness! 1. Preheat oven to 350 F. Wash and cut the pumpkin in half. 2. Remove all the seeds. 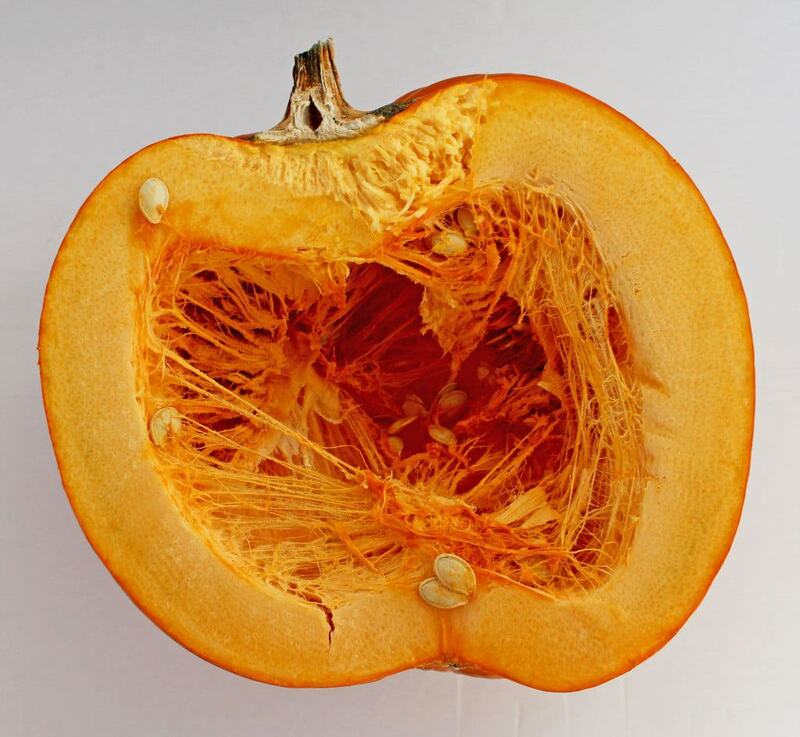 Clean the pumpkin inside from the fibers by scraping them off with a spoon. 3. 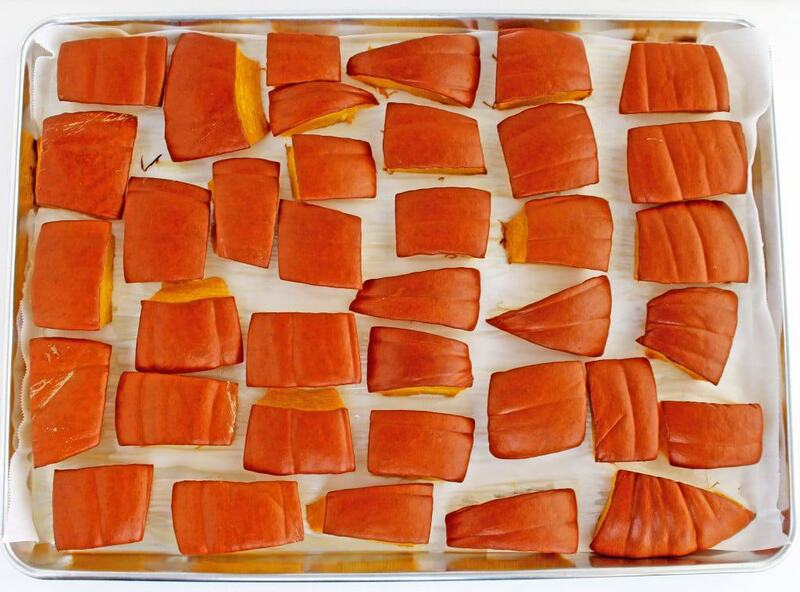 Cut the pumpkin into small pieces and place them onto a large 15 X 22 baking pan lined with parchment paper. Bake pumpkin in the oven for 1 hour and 15 minutes or until knife inserts into it easily. 4. Remove from the oven and let it cool completely on a baking pan. 5. 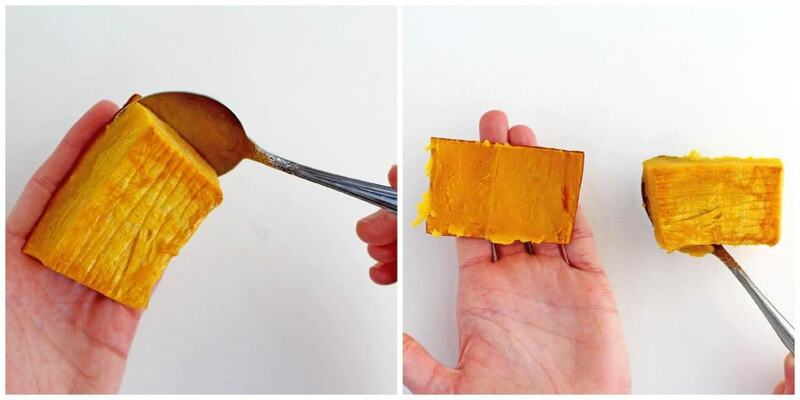 Separate the cooked pumpkin from the pumpkin skin with a spoon. 6. Place it into a food processor. Blend the pumpkin pieces for 1 minute stopping the food processor every 20 seconds to push large pumpkin pieces to the bottom of the food processor. Then blend it for 2 more minutes or until all well blended. 7. The puree is all ready for baking. 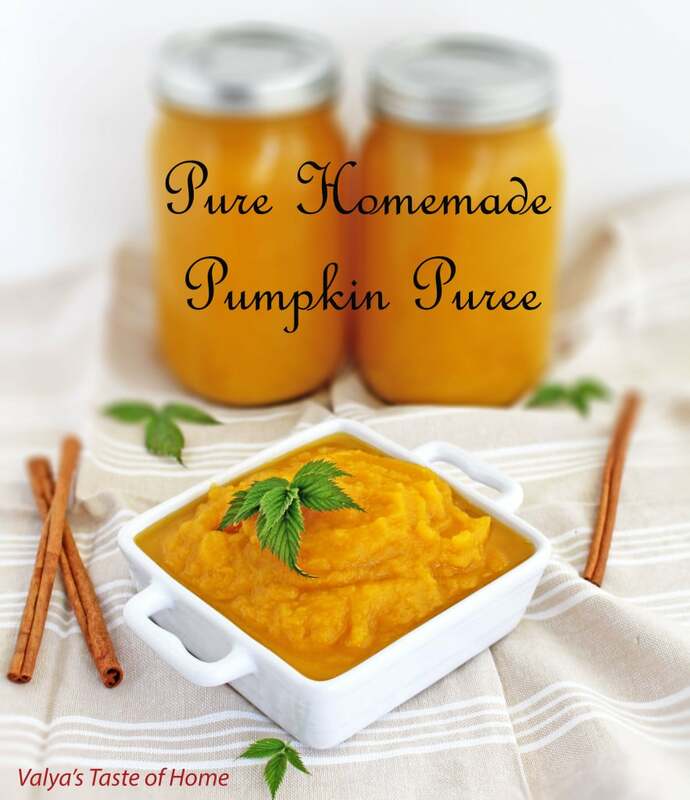 You can store the puree in sterilized cans in the fridge for up to 4 weeks. See how to sterilize cans here. 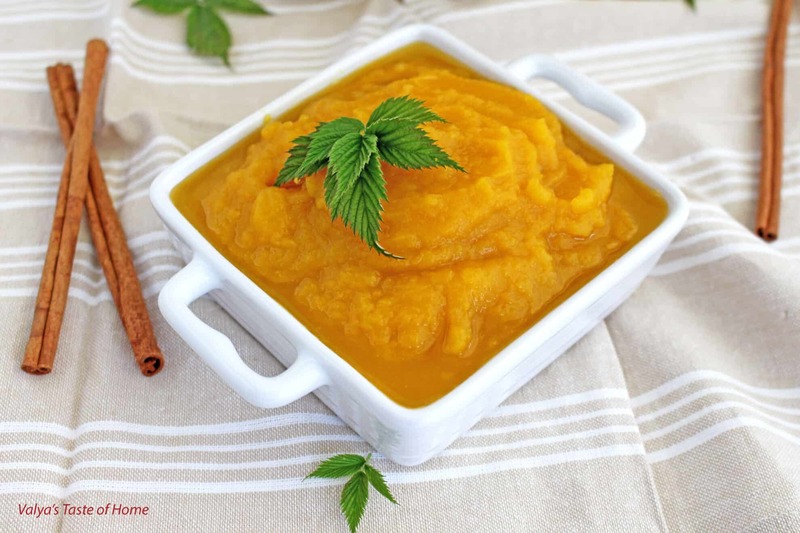 Enjoy homemade puree! Preheat oven to 350 F. Wash and cut the pumpkin in half. Remove all the seeds. 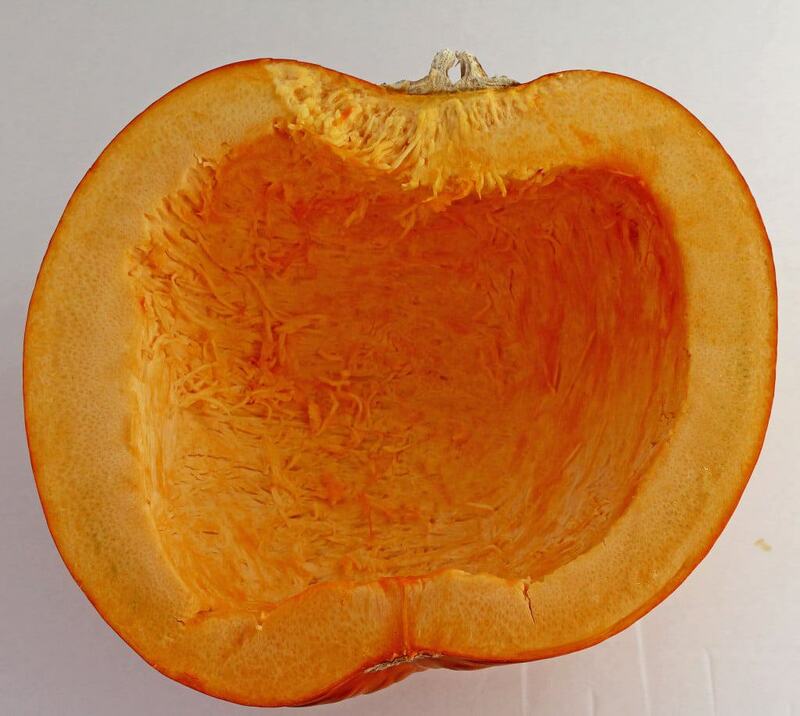 Clean the pumpkin inside from the fibers by scraping them off with a spoon. 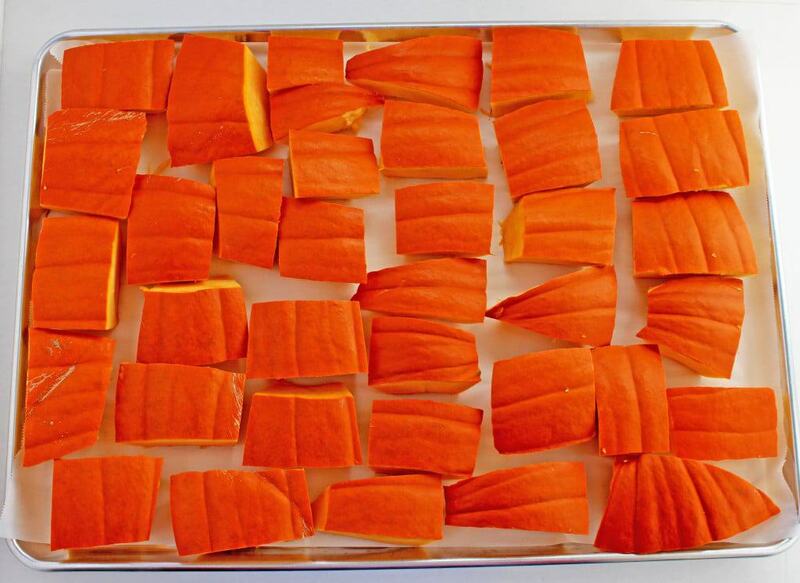 Cut the pumpkin into small pieces and place them onto a large 15 X 22 baking pan lined with parchment paper. 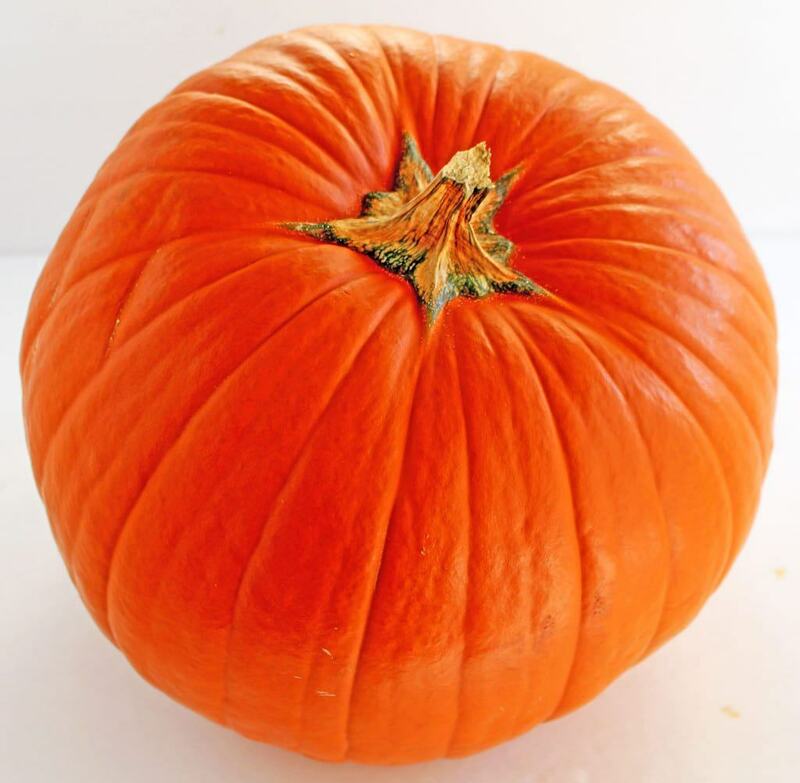 Bake pumpkin in the oven for 1 hour and 15 minutes or until knife inserts into it easily. 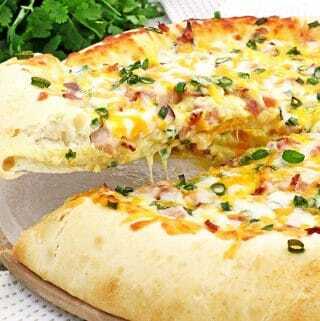 Remove from the oven and let it cool completely on a baking pan. Separate the cooked pumpkin from the pumpkin skin with a spoon. Place it into a food processor. 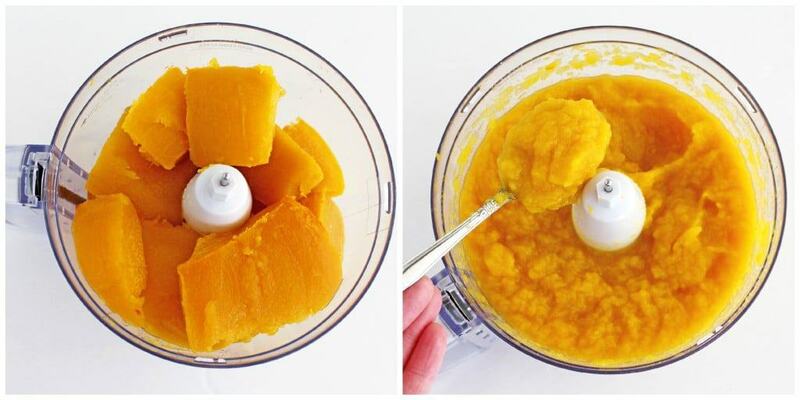 Blend the pumpkin pieces for 1 minute stopping the food processor every 20 second to push large pumpkin pieces to the bottom of the food processor. Then blend it for 2 more minutes or until all well blended. The puree is all ready for baking. You can store the puree in sterilized cans in the fridge for up to 4 weeks. 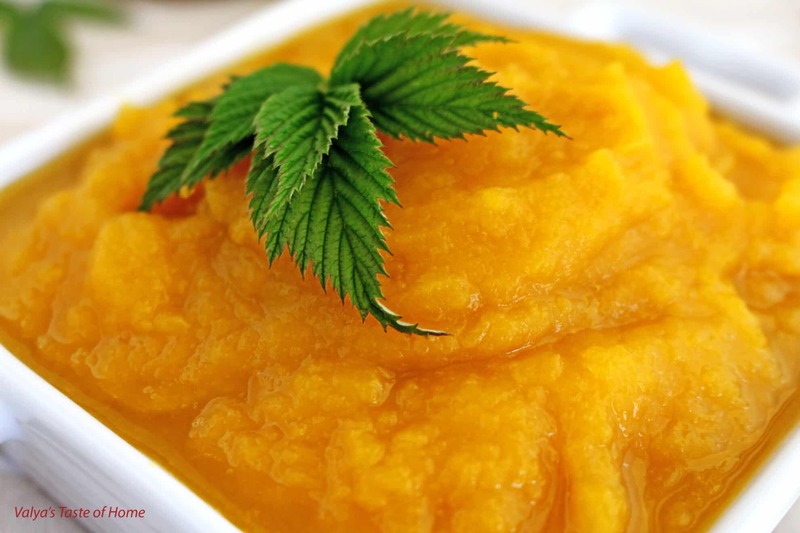 Enjoy homemade puree! This turned out perfect! Thank you! Wow! 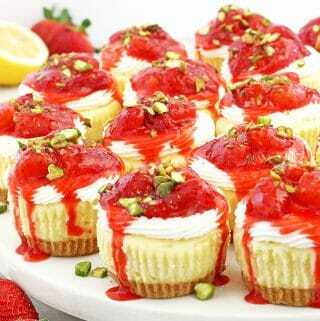 I have been looking for this type of recipe all summer. I have grown pumpkins this year and I wanted to make purée. This is perfect! Thank you very much!? I am cooking pumpkin pancakes tomorrow for breakfast, do you think I can use this puree to substitute the canned one? I was baking pumpkin yesterday but when I was doing puree today I had to add water, because it wasn’t all juicy and wouldn’t mix at all, what did I do wrong? 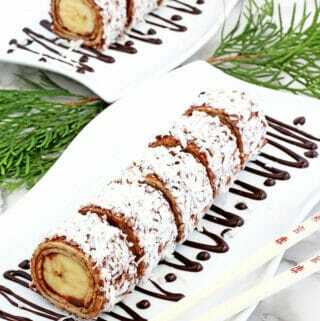 I baked it more than 1:15 closer to 1:40 mins. It just wasn’t soft enough so I baked it more. I think you over baked the pumpkin and it got dry. I used homegrown pumpkin too, maybe they are more softer after baking. The puree turned out much more runnier that the one you buy at the store in cans. Try to buy organic pumpkin or pick one straight from a farm field. I hope this helps. I know that you say you can store this in a refrigerator for several weeks, but I also freeze some as well. I scoop 1 cup portions into small freezer bags, lay them flat in freezer until they are frozen(for neater storage), and then you can enjoy this for baking in those cold winter months, as well! I wish I had a big freezer so I could freeze some of this pure, but I don’t at this point. 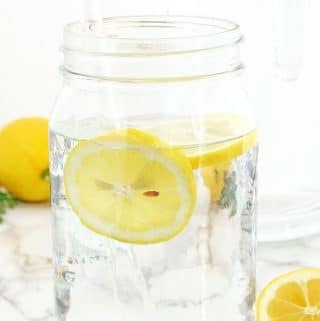 Is there a way to can this in jars for future use? No, I have not experiment any other way. Canning it is a great idea though. I will work on the canning version of it.